Pin It Now! I finally got around to painting my son's desk that was purchased at Goodwill in September of 2010. It was my first Goodwill purchase ever. I kept putting it off because of the cost to paint it and also because I had no idea what to do! All I did was buy the recommended Zinsser Cover Stain Primer (pictured on original post), blue paint (I just bought the cheap Wal-mart brand), and paint brushes. It cost me about $50 for all of the supplies. I used 2 coats of the primer. I do wish I had let it dry longer before applying the paint, but as usual, I was in a hurry to get it done. I only painted the part of the drawers that was actually going to show once put back into place. I put about 3 coats of paint on it. Don't know if better paint would have made a difference on how many coats? Thoughts? This was a VERY beat up desk, but now it looks so nice in the boys' room! I offered to buy different knobs to screw in, but Lincoln said he wanted the old ones. Great, saved me $! I am happy with the way it turned out, but I will be better about waiting to let primer and paint dry longer the next time I paint furniture! Since I absolutely love reading aloud to my kids, children's books are some of my favorite products to review! 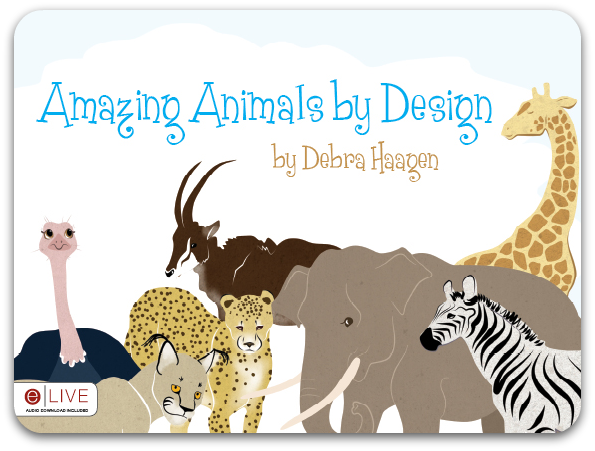 Recently, I had the privilege of reading Debra Haagen's debut book, Amazing Animals by Design, to Shiloh, my 6 year old daughter. This book is a simple yet delightful way in which you can introduce young children to the concept of Intelligent Design. Take a trip to the zoo with John and Sarah! Follow them around as they ask lots of questions about the animals they see. 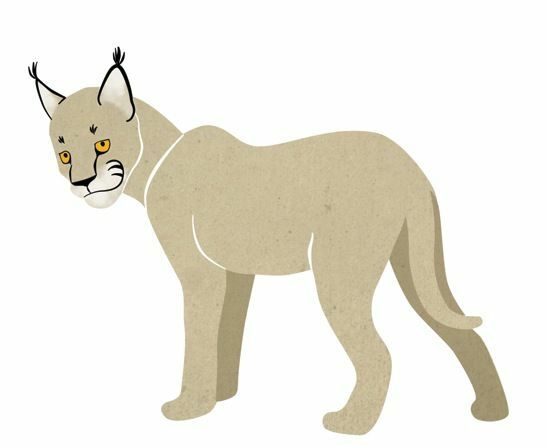 Your child will find out that each animal is designed with unique characteristics to help it survive. He will learn answers to questions like, "Why do elephants have long trunks?" and "Why do giraffes have long necks?" Not only will he learn about the animals' amazing designs and that nothing is made by accident, he'll learn that he is designed with a special purpose, too! My daughter and I enjoyed reading this book together, and I recommend it as a read-aloud for toddlers - kindergartners, or as a read-alone for first - third graders who are reading well on their own. We were given the eBook download to review which was just fine, but if I were buying, I'd go for the paperback so my daughter could pick it up anytime. It would also be easier to share with others! Be sure to visit Debra Haagen, a fellow Crew Mate, at her blog: http://amazingbydesign.blogspot.com/ or official author website: http://debrahaagen.tateauthor.com/. You can also like her on facebook here. See what other Crew members said about Amazing Animals by Design here. Pin It Now! I knew when I saw these cute, festive cookies, I had to make them! The original source calls them Spring Basket Cookies, but I wrote Easter Basket Cookies on my picture on accident. :/ I think they look more like Bird's Nest Cookies, though. Whatever you want to call them, they are adorable! For directions on how to make them, please visit Scattered Thoughts of a Crafty Mom. I doubled the batch because one only made about 12 cookies. I used frosting (just powdered sugar and milk) to "glue" the eggs down. Using a certain kind of baking pan seemed to make a difference in how the cookies turned out - the air bake (one in the middle) had the best results. I didn't like the way they turned out at all on my "seasoned" pan (the one on the left). The bottoms browned too much, and for some reason, the cookies turned out more circular instead of retaining their nest shape. I actually didn't like these cookies, which is strange since I LoVe anything coconutty!! So, why am I sharing this post then? Because my kids thought they were AMAZING, and it seemed like everyone at Bible Study liked them as well. Pin It Now! I bought chocolate almond milk for the first time a few weeks ago. It really was a delicious treat that all of my kids liked, so I decideded to experiment a little bit. 1. Hot Drink: I wanted to know if it tasted yummy heated up since I love homemade hot cocoa so much. Definitely good, but I wouldn't want to give up on whole milk hot chocolate altogether. :) The whipped cream was another first time experiment - I used whipped coconut milk. Explanation below. This is the coconut whipped cream I made. Got the idea here. It was good but more dense than regular whipped cream. Made me wish I had one of those air pressure cans to put it in! I bet there are a ton of things to make with chocolate almond milk! Hmm, I bet popsicles would be good . . .
Pin It Now! I've been feeling like a "dud" of a parent lately. Even today - daughter shed tears over her Grammar lesson and middle son shared his displeasure over what I was serving for lunch. *sigh* My oldest, well, he's currently in puberty's grip, so I never know what the day will bring. Can I get a moment of silence over that last one? A few days ago, I was looking at pictures of my 4-year-old nephew's birthday party that my brother had posted on facebook, and when I got to these two photos, I had one of those ahh-yes-that's-exactly-it moments. The photos and my brother's captions mirrored exactly how I've been feeling as a parent lately! One of my 5-year-old twin nephews, Easton's brother, blew out Easton's birthday candles - a serious offense in a 4-year-old's world! Yes, Ryan blew out Easton's candles and he started crying and yes that's me rolling my eyes saying "oh gosh here we go"
Ugh, how many times a day do I do the same thing - sigh, roll my eyes, and think, Oh gosh here we go? My brother didn't throw his hands up in the air and stomp out of the restaurant. I think this photo is a wonderful illustration of good parenting. We, as parents, won't always get it right. We will get exasperated by our children's annoying behavior, which usually - at least for me - leads to much sighing and eye rolling. And truly I need Jesus to help me do this because, let's face it, some days I sit on my bed staring at my rustic armoire wishing it were a secret entrance to a fantastic world where I could sneak away to be queen and be friends with dragons and unicorns. Pin It Now! When I saw Kristen's Button Mosaic Heart, I felt inspired to finally create a little wall art of my own. I finally have a few extra minutes everyday now that my kids are a little older. :) Yay! I didn't use buttons for my project since I didn't have any, and I really didn't want to buy a bunch of them in bulk. So, I figured I'd use scrapbook paper for my project instead. Honestly, though, I had no idea what I was doing since (1) I had never ever bought and used a piece of canvas, (2) I had never used Modge Podge, and (3) well, I'd never made wall art. I bought some scrapbook paper and tore into tiny pieces. I did this during the Super Bowl - I had no idea that tearing that much paper could make your fingers hurt! I used modge podge to glue the scrapbook paper on the canvas, and I also smoothed a layer over the scrapbook paper at the same time. Oddly enough, I found that using my fingers was the best method of application. Once I was completely finished, I used a foam paintbrush and applied one last coat of modge podge on the entire canvas. It took me about a month to complete as I only worked on it when I had a few minutes to spare. Please don't mind the no makeup and "stay-at-home" hair. ;) Here is my finished wall art project. My kids thought it was really neat, and I guess it's not too bad for my first one. I see all the imperfections, though. I hung it in my bathroom downstairs, and I think it would look better on lighter walls. Also, now that it's hung, I think it's one of those pictures that would look better far away. Being in a tiny space you don't get that stained glass effect as much. Oh well, it was made by my hands and didn't cost a huge fortune. Next time, I will get my kids to tear all the paper! Anyway, my daughter had been asking for one b/c she wanted to be able to feed it and change its diapers. Yay, a doll that makes a mess, I thought to myself. But, I knew it would bring her much joy playing "mommy," and I also knew that she'd get bored of it after a while. My hubby and I included an extra pack of "food" in our daughter's stocking for the baby, but I didn't want to pay a ton of money for the Baby Alive diapers - and they didn't come with very many. Solution: after reading many reviews, we decided to follow someone's advice and buy a pack of regular newborn sized diapers. We just bought the Target brand, and they work just fine. Of course, they are a bit bigger than the Baby Alive diapers, but really they do work just fine. :) She still has over half the package left, too. So don't worry, we aren't filling up too many landfills with diapers from a doll! Regular newborn sized diapers for Baby Alive work for us! Pin It Now! I just can't seem to write about food today. I usually try and post a recipe of some sort on Tuesdays and link up over at Balancing Beauty and Bedlam, but not today. Maybe next week. My mind is just too busy pondering everything I just read in Kisses from Katie. I've been pouring over the book for the past few days, shedding tears, and being amazed by this young woman's devotion to live out the Gospel in such a radical way. I know she says she's just doing what God has called her to do, and I know that's true. But it's still amazing to me - someone who enjoys all kinds of luxuries on a daily basis. I believe I am doing what God has called me to do also, but I know He wants more. That "more" seemed to start right after we moved to AZ and began facing all kinds of difficult trials. I now know that those trials were necessary for God to dig out some of the "ick" embedded in my heart, to get my focus off of earthly things and on to heavenly things. I cried during each one I read or watched. Tears of sheer joy and amazement that God uses broken people to do such "impossible" things. Tears of recognition that God uses me and wants to use me more. I was encouraged each time by knowing God's incredible and undeserving grace, mercy, and love. And I am supposed to share it. I don't think I have to move to a different continent to do so, I need to be more Christlike right where I am. Sadly, I admit that I need to grow so much in this area. I am quite comfortable being in my "comfort zone." My husband and I stepped slightly out of our comfort zone financially a while back and decided to commit to sponsoring a child through Compassion. While this may be easy for some, then it was a huge thing for us. I am so glad we did this "small" thing b/c it is such a blessing to know we are making a "big" difference is someone else's life. I still have a hard time fathoming that a sweet, African family who has never met us personally is so grateful to us and prays for us. I cherish every letter I get from our child, Livingstone. 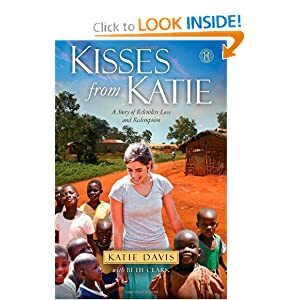 Oh, if you haven't read Kisses from Katie, DO SO and be blessed!! Pin It Now! A week or so ago I posted about getting rid of old furniture and making our first "big" couch purchase. Well, here is an aerial view of our new living room. The lamp in the right corner was my birthday present ~ love the Chinese lantern look. The turquoise cushions by the lamp are for kids to sit on while playing X-box, or they make a nice little foot prop. Both the lamp and cushions are also from World Market. Our old stuff, but new to the den. So nice to have a couch in there now!! Two of my kiddos enjoying the new sitting chairs and "foot props." On a side note: my daughter just started reading the Disney Fairy novels all by herself. While I am thrilled to pieces that all of our hard work at learning to read has paid off, I am a little sad, too. *Sigh* I think another one of my apron strings just came loose. Pin It Now! I absolutely adore wreaths and door decor, but I have never been able to afford such luxuries. I was too busy during the "little kid" days to make my own and too tired to be creative. I got my inspiration to make an Easter/spring wreath here. The original is so much prettier, but my goal was to use on-hand items. I did have to buy foam tubing from Lowe's for the base of the wreath. It costs only $.97 for a 6 foot piece. (Plumbing department) And I had to buy duct tape - so I did end up spending roughly $4. Once all the grass was in place and pretty much covering up all the gray foam tubing, I reused a bow and some ribbon from my daughter's Garden Party Birthday. I hung the cross door hanger my mom gave me many years ago on my door as well. I think it looks great in the center of the wreath! For the most part I am happy with the way it turned out, but I have noticed that the foam tubing isn't super sturdy. It is becoming more of an "egg" shape which is kinda cute for Easter, but I am not sure I'd use foam tubing again, especially not for something heavy. DIY Easter Grass Wreath Works for Me! Can you guess where I saw this? Yes, Pinterest! Except the original photos are so much prettier. Pick some fruit - we chose strawberries, green grapes, and bananas. Dip and cover in yogurt - we used Whole (not reduced fat) Mountain High Vanilla. Yogurt covered bananas were the favorite! If you've been looking for quality, in-depth study guides for your homeschoolers, you need to check out Progeny Press. According to the website their study guides provide "easy-to-use, reproducible lessons on literary terms, comprehension and analysis, critical thinking, related scriptural principles, vocabulary, and activities, plus a complete answer key." For a complete description on how to use Progeny Press Study Guides, follow this link. The study guides are available in three different formats to meet your specific homeschool needs. You can choose from the following: a printed and bound booklet, a CD in .pdf format, or the same .pdf file sent as an email attachment. To order your study guide, you can visit the Progeny Press online store. First, you may want to read their online store rules and policies. Progeny Press sent me The Bronze Bow Interactive Study Guide as a downloadable PDF file in an email attachment. Downloading was very easy, but I needed a little guidance from my techy husband to make a separate file so that my twelve year old son could write in his answers on the computer and be able to save his work. My son really liked being able to complete his work on the computer - here's what he had to say, "It's faster, easier, not as messy, and you don't run out of room to write." I was pleased he liked it - from a child's standpoint, is there a better recommendation than that? It was his mom (me) who had a more difficult time getting used to the interactive study guide. I am used to grading a stack of papers, not having to get on the computer to grade my children's work. The pages are printable, but I figured why waste paper if you don't have to. Plus, I told myself that it would be good for me to learn something new! Once again, I had to have my husband's help - he had to show me how to put the answer key and my son's file side by side so it was easier to grade. Once I was able to do that and once I figured out how to comment and correct any wrong answers, I became less frustrated. As I write this review, my son is about half way through the study guide, and I find that it really isn't a big deal to grade it separately from all of my kids' other work. I just had to get used to doing something different! So, what can you and your child expect from this study guide? Before jumping into the study, your child is encouraged to read through the book, The Bronze Bow. We checked this book out at the library, but it is available for purchase at the Progeny Press online store for $6.95. Synopsis - this was very helpful since I have never read The Bronze Bow. Background Information - this gives a short history of the nation of Israel and what was going on at the time of the book's setting. Some chapters cover other literary concepts like setting and characterization. There are also optional assignments listed throughout such as: creative writing, research reports, and writing speeches. Overall, I think this guide is a great choice for studying literature. I will definitely be considering some of their other titles for next year! *A note about the date listed for the setting of the book - in the book, Jesus is still alive and hasn't died on the cross yet, so according to many historians the setting would technically be before 30 A.D.
See what other reviewers said about Progeny Press Study Guides here. Pin It Now! Last summer I began researching logic courses for my son who is now in seventh grade. Not being too familiar with the subject, I ended up choosing a course that was an introduction to formal logic. Maybe I'm just not that smart, but even I had a difficult time understanding the course and told my son that he was basically on his own for that one! Just as my son was running into some difficulty with formal logic, I was presented with the opportunity to review an informal logic course from Classical Academic Press: The Art of Argument, An Introduction to the Informal Fallacies by Aaron Larsen and Joelle Hodge with Chris Perrin. Can I just tell you that our logic life just became a whole lot easier! In this course, which includes the student text, teacher's edition, and instructional DVD, your child will learn to think clearly and to argue like a philosopher. A philosopher is one who loves wisdom and argues in a positive way while trying to persuade or convince another person of his viewpoints by sharing reasons to support them. In an argument he gives reasons that are relevant, uses clear language, and doesn't make unnecessary assumptions. Arguing isn't such a bad thing. I love what the book says: "To the Latin mind, an argument was not necessarily an emotional disagreement, rather it was an attempt to reveal what was true on the basis of evidence and reason. In short, to argue is to provide rational reasons for or against an idea or action." Unfortunately, not all arguments are positive. 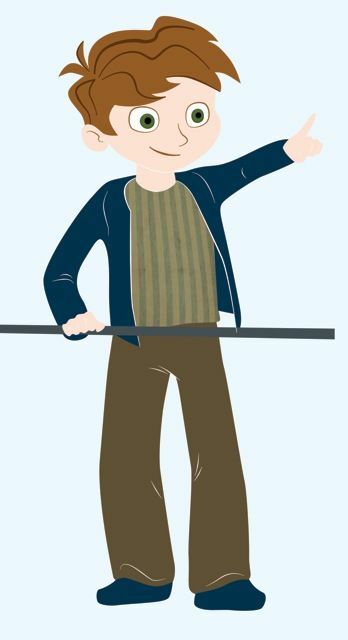 After taking this course, your child will know how to quickly identify bad arguments and will even be able to name the ways that arguments can be bad by learning twenty-eight specific fallacies. A logical fallacy, according to the book's definition, "is an occurrence of bad or incorrect reasoning." The twenty-eight fallacies are divided into three categories: fallacies of irrelevance, fallacies of presumption, and fallacies of clarity. To make it easy, your child will learn one fallacy at a time. The student text is very organized; It's divided into three units, six chapters, and twenty-eight fallacies. In the lessons, fallacies are clearly defined with explanations, illustrations, examples, sample advertisements, and dialogues. For mastery, discussion questions are also provided for each lesson. In the back of the student text there are many extra features. In Appendix A you will find Bill and Ted's Excellent Election, A Theatrical Play Demonstrating the Common Fallacies. In Appendix B you can read a story called, "Love Is a Fallacy" which shows how the logic you learn can be used against you. There is also a glossary that defines the bold terms throughout the text and logical and technical terms that will help you learn additional information related to the study of informal fallacies. The teacher's manual contains the same information as the student text but has all of the answers to questions in the lessons. It also provides chapter and unit tests that can be copied for your child. There is an answer key for these as well. I received, along with the student text and teacher's manual, a sampling of the instructional DVD. It has been a very helpful component to the course. (I wish we had the complete DVD set!) In each segment, logic teachers sit around a table with four students to discuss a particular fallacy and to make practical applications of each fallacy. According to the website description, "each discussion seeks to make a practical application of the fallacy to student life, advertisements, political speech, and various kinds of ethical and philosophical debates." Discussions usually last about 20-30 minutes or less. The cost of The Art of Argument, Basic Bundle is $88.95. Each product can also be purchased separately, and the DVD isn't necessary to complete the course, however, it is very helpful. Also on the website you can view samples of chapters, frequently asked questions about logic, and a video clip of the DVD. This course is designed to last for one semester but could easily be adapted to whatever pace with which your child is most comfortable. I would recommend The Art of Argument to seventh graders and up. This course will equip your child with the tools necessary to be able to argue well and to detect bad reasoning. In an age where we are constantly bombarded with all kinds of advertisements and ideas, these are vital skills that can be used in everyday life. I am hoping these newly learned skills will be applied to sibling rivalry and "discussions" between my children and me! I hate to admit it, but I have already used the "that's-not-relevant" point with both my boys on separate occasions. I will definitely be using this program for my other children when they are ready! For more information, you can visit the Classical Academic website here. There is also a student support site called Head VentureLand, and a Facebook page with product information, conversations, and links to authors' blogs. See what other reviewers said about The Art of Argument here. Here's my sweet girl who finally has doll pj's to match hers! Tucking Kylie in for the night. She's gonna be a sweet mama one day. Well, a couple of months ago I was informed that this branch of TOS was fading out, but I was given the opportunity to join the TOS Homeschool Crew! I will still get to review homeschool products, but the best part is that I will get to write them on my blog. Yay! I am looking forward to being part of a viral marketing team and writing reviews that are slightly less formal and have pictures of the products. :) Very soon I will be posting my first TOS Crew review, so stay tuned. I thought I would end this post by sharing my top 10 favorite products that I have reviewed for The Old Schoolhouse Magazine over the past 2 years. It was tough choosing from 86! The following are not in any particular order. *I couldn't link directly to my personal reviews at this time as the product reviews page is undergoing some changes, so I linked directly to the products instead. Eat an Island for Lunch! I originally saw this picture, minus the blueberries and cottage cheese, on pinterest, but there was no link. I don't know who came up with this, but my kids thought it was fun! Lunch is such a chore and can be a monotonous bore for both mom and kids, so it is fun to spice it up every now and then. To make your island, you will need: an orange, a banana, and at least 2 kiwi. I added water (blueberries) and clouds (cottage cheese) to our island to make it a more complete lunch. A quality, vanilla yogurt would also work for creating the "clouds." Making lunch fun every now and then works for me! Pin It Now! Recently, after almost 15 years of marriage, my hubby and I were able to purchase our first "big" couch. It's been a long time coming for sure. We "borrowed" couches when we first got married and lived in a tiny apartment. After that we were able to purchase a love seat and chair/ottoman combo from Pier One. So we still didn't have a "big" couch - the kind that can comfortably seat more than 2 people. :) But we survived. We, my hubby especially, were determined not to start off our marriage in consumer debt. That means not buying anything unless we could pay for it in cash. Very commendable, very responsible, and the best thing to do in my opinion, but not always the easiest. At least not easy for a new, type A highly motivated wife who wanted to decorate her new home with things. New things. I wanted a "perfect" Pottery Barn catalog kind of home on a Dollar Store budget. Anyway, God has done a lot of work on me over the years, and I have learned a little to be very grateful for what we have, to work with what we have, and to not focus on what we don't have. Bitterness and discontent aren't pretty at all. When my hubby and I moved to AZ over five years ago, we didn't bring any couches. Our Pier One love seat was completely ruined by an episode of volcanic blueberry vomit. Plus, I don't think there was room in the U-haul we rented anyway. We had to leave behind quite a few things. My mom and her husband gave us their old couch set after we were able to move in to our new AZ home. I really was grateful (sitting on tile would have been pretty painful for this bony tush) but a bit disappointed we couldn't buy our own. It wasn't long before vomit struck again, but I didn't think anything of it since we now had removable covers on the cushions. Um, the zipper broke when I tried to remove and wash it. So, we've spent the last few years daily straightening our couch cushion to hide the massive tearing. At day's end, here is what it would look like - all rumply. Yuck, and I had and still have zero cushion covering skills. Not that I could have afforded fabric to do that anyway. About a month ago, we were able to finally purchase a NEW couch and loveseat for our living room ~ yea! We kept my mom's love seat and moved it into the "computer room." Before, the room only had the computer, desk, TV bureau, bookshelves, and Mark's guitar. He's glad to be able to sit comfortably and practice music for church! New couch, loveseat, and "sitting area" reveal coming soon . . .